Welcome to Creation on Display! 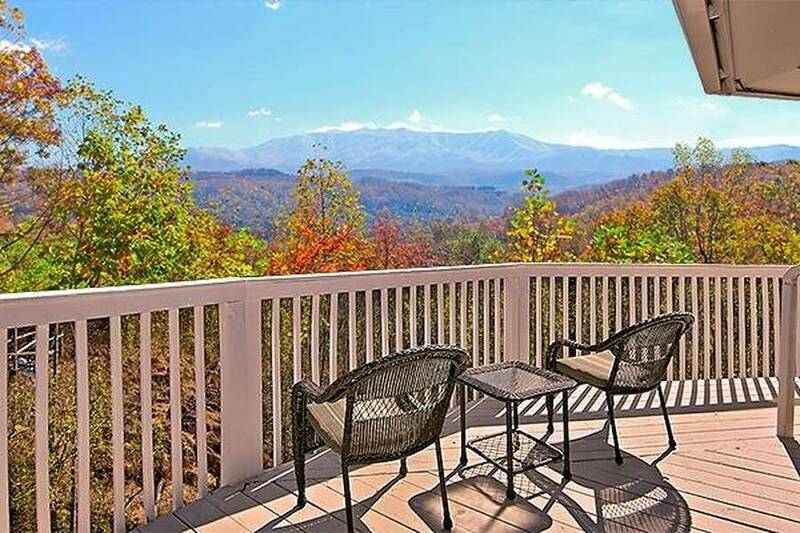 This 3 bedroom vacation getaway offers one of the most fabulous views of the Great Smoky Mountains available. 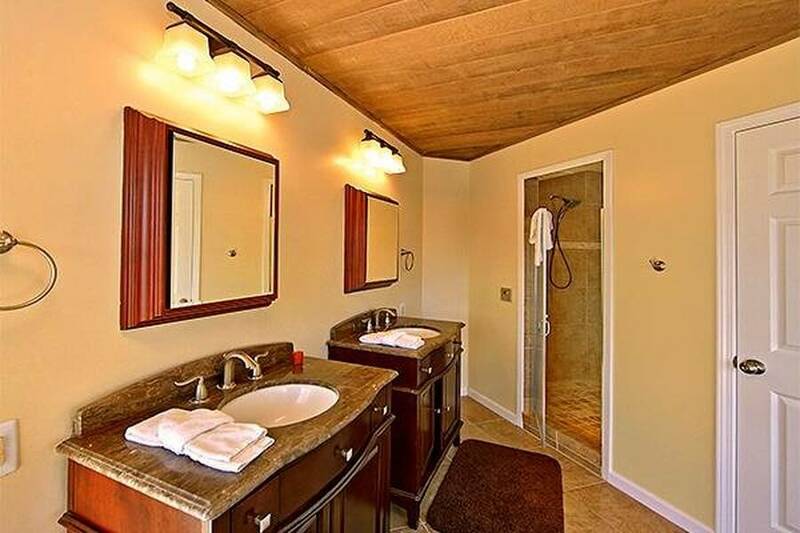 This luxurious and upscale rental is waiting to wrap you in total comfort and relaxation. 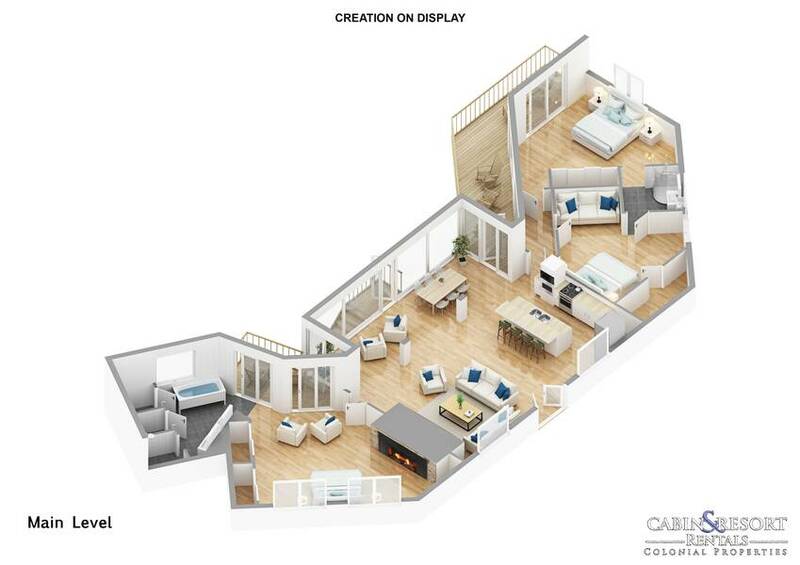 All located on a single level, Creation on display is spacious and provides enough room for everyone to enjoy. 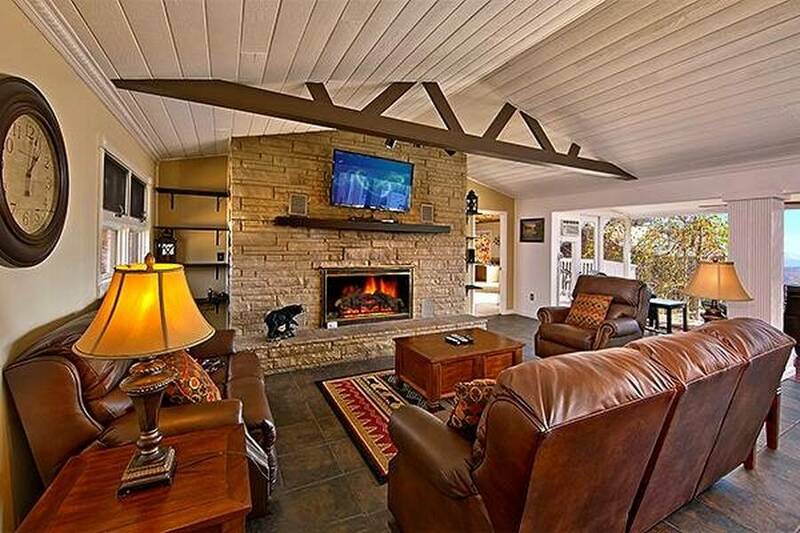 The majestic living room features floor to ceiling windows that frame the mountain views, a stunning mountain stone accented fireplace, 50 inch flat screen TV, cathedral ceiling with exposed beams and relaxing leather furniture. 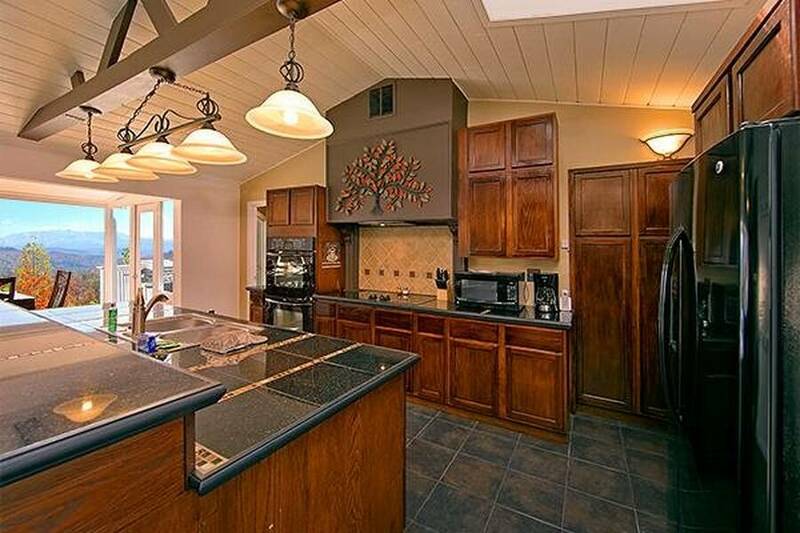 The chef inspired gourmet kitchen is a cooks dream! 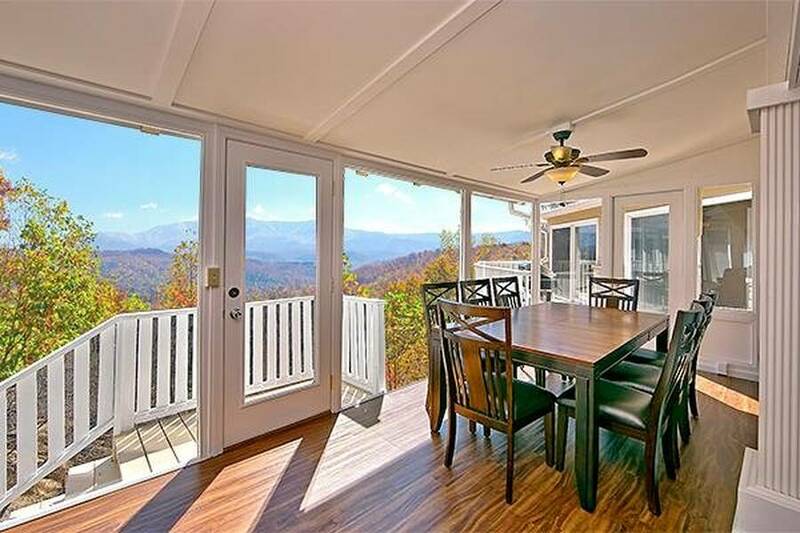 You’ll love preparing a delicious meal while you’re on vacation in Gatlinburg. 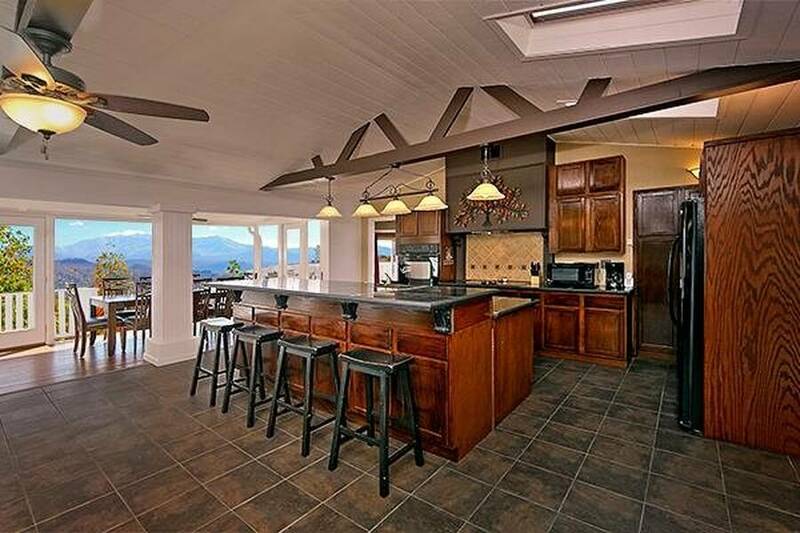 With state of the art appliances, custom tile work, exposed beams and a breakfast bar that seats 4 people – you’ll have everything you need a more to enjoy your time together. 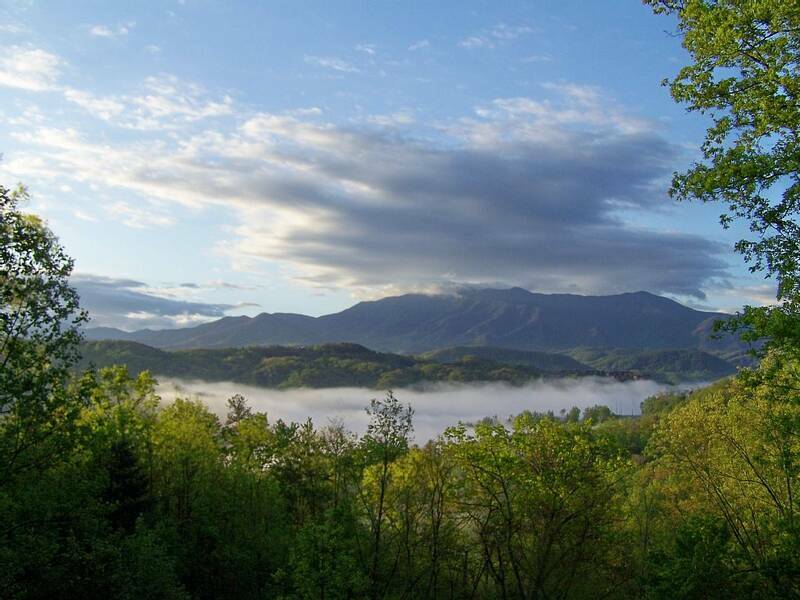 Nearby is the dining area that looks out into the Smokies for a truly unforgettable dining experience. 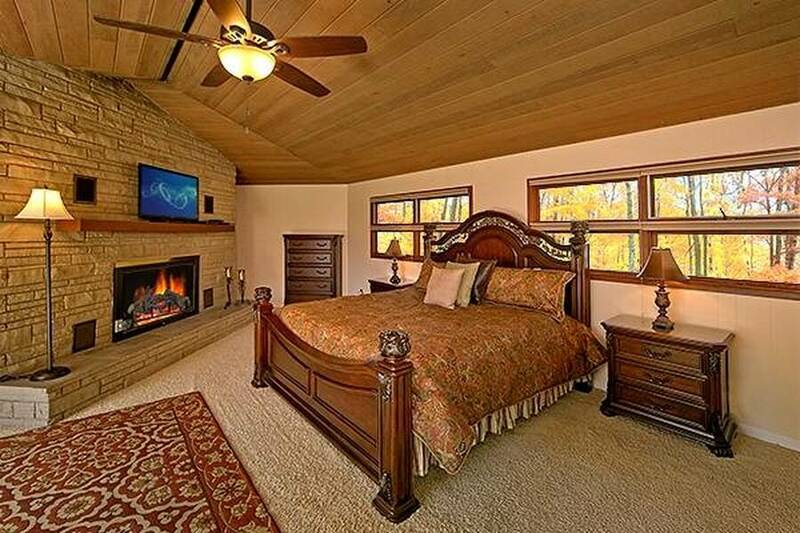 The amazing master bedroom suite is place where you can totally escape and leave your worries behind. 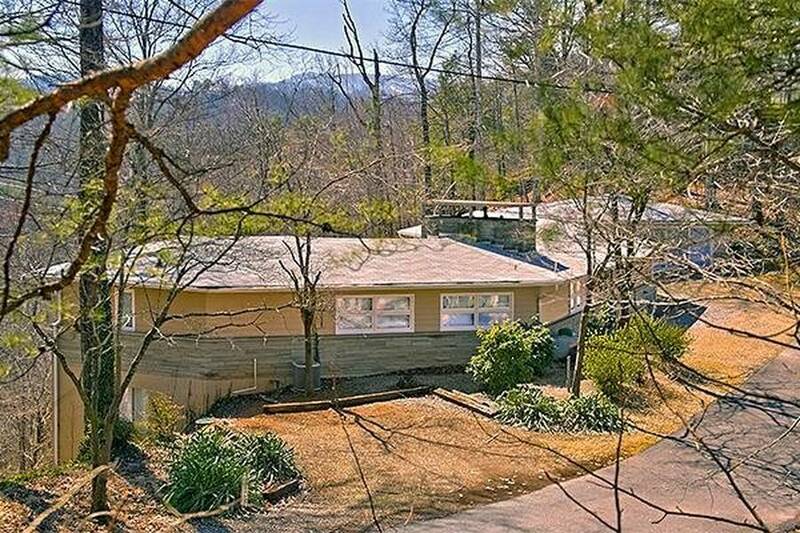 Here you’ll find a floor to ceiling mountain stone accented fireplace, 50 inch flat screen TV, jetted tub, full bath, mountain view and your own private deck access. 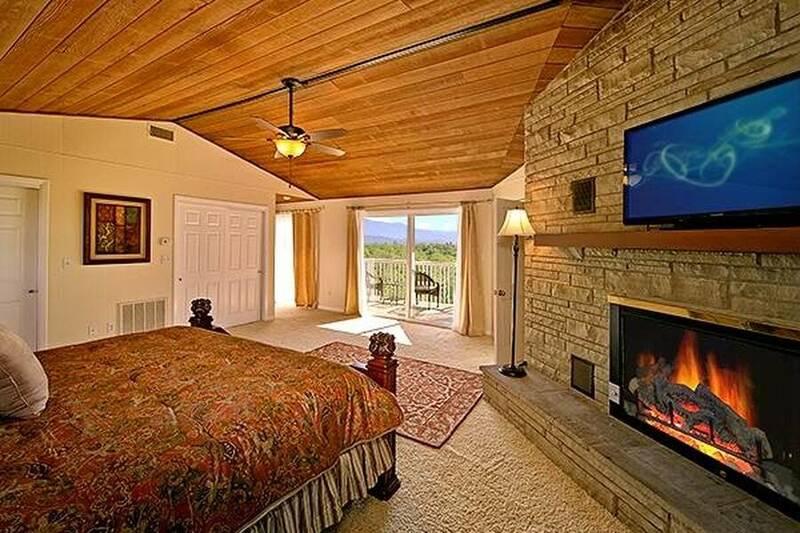 The second bedroom is a special place to kick back and relax. 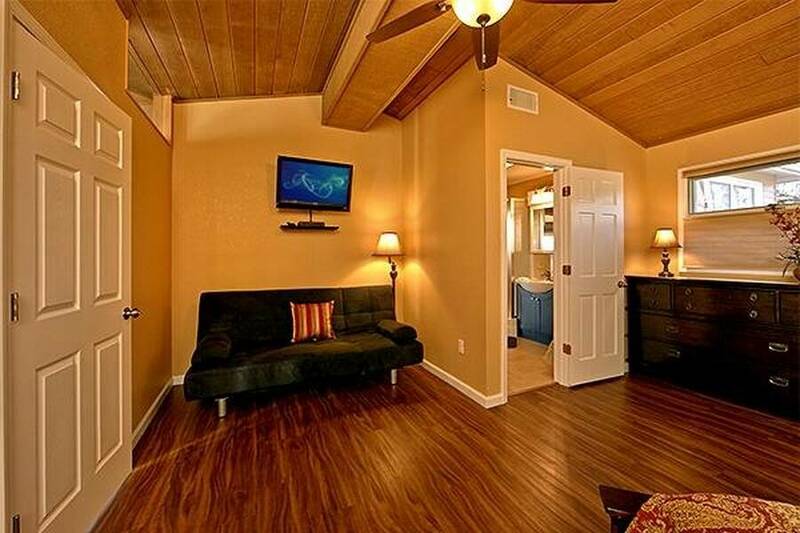 It features a comfy king bed, flat screen TV, mountain view and access to a full bath. 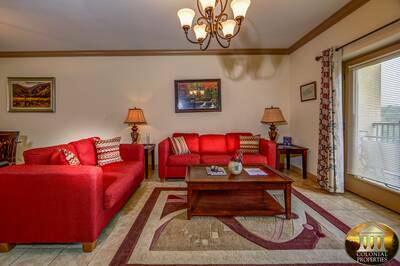 The third bedroom at Creation on Display offers a queen size bed, futon sitting area, flat screen TV and access to a full bath. 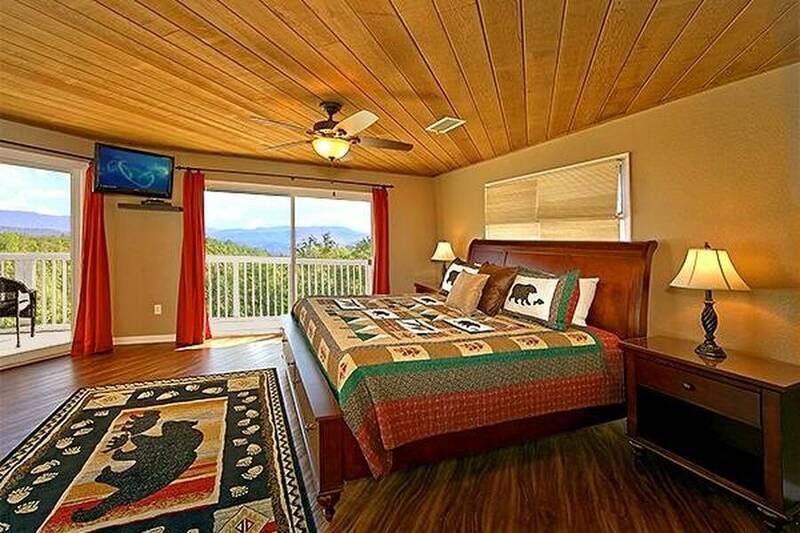 This gorgeous Gatlinburg vacation getaway also has a detached game room for you and your guests to enjoy. 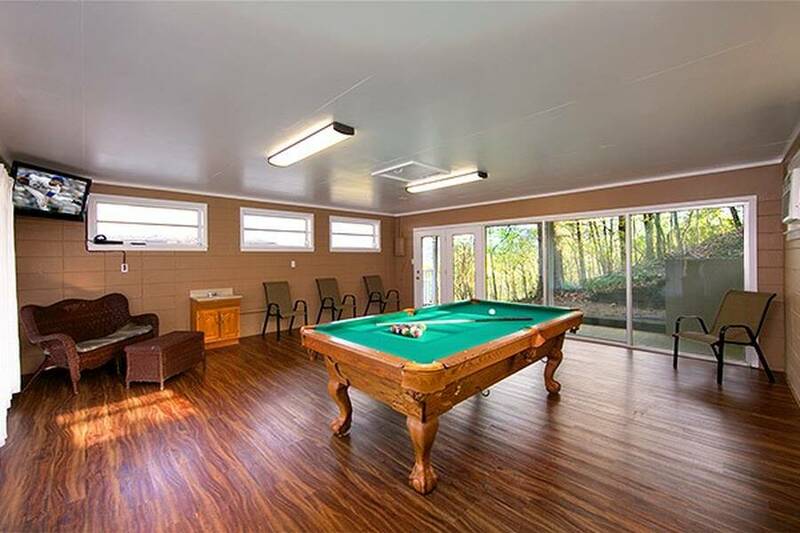 You’ll love playing one another an exciting game of pool or watching your favorite sports teams in action on the flat screen. 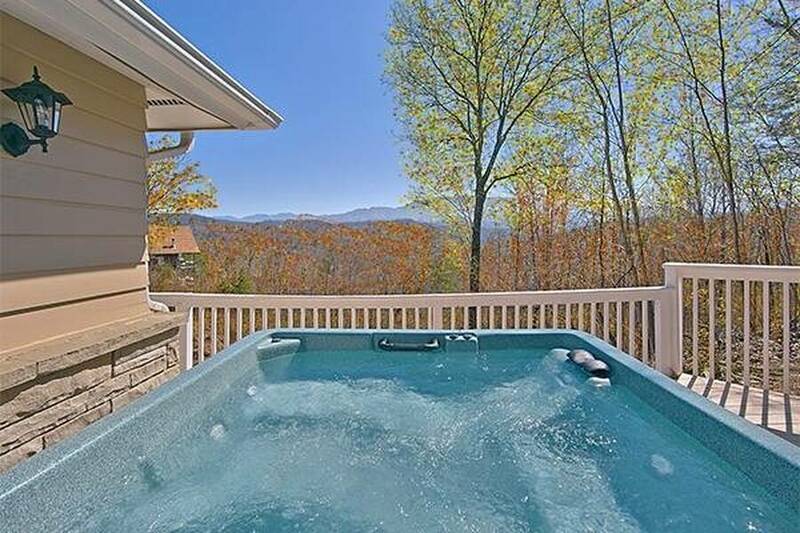 When an eventful and fun day in the Smoky Mountains has come to an end, you’ll definitely want to go for a dip in the bubbling outdoor hot tub that has breathtaking views for you enjoy. Creation on Display has complimentary wifi internet access just in case you need to do a little work or want to browse the web while you’re on vacation. 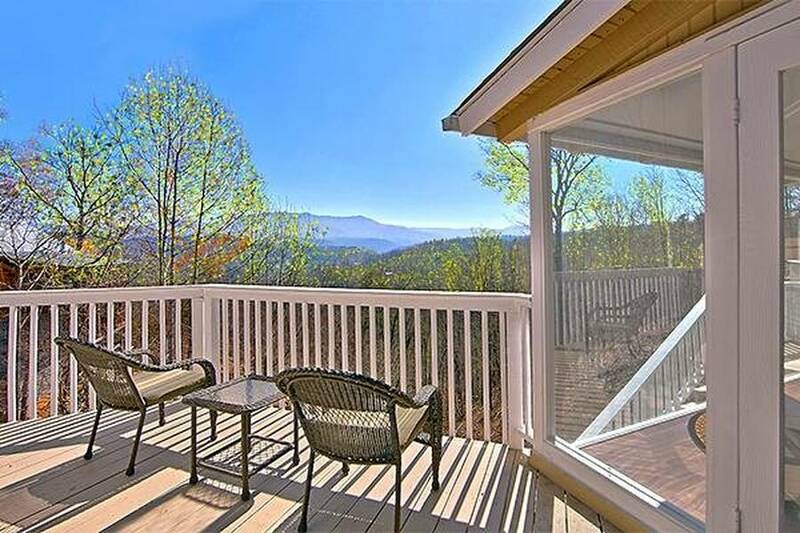 If you’re looking to experience an unforgettable Smoky Mountain vacation and reconnect with Mother Nature, then you’ll love the extensive decking that this rental offers. 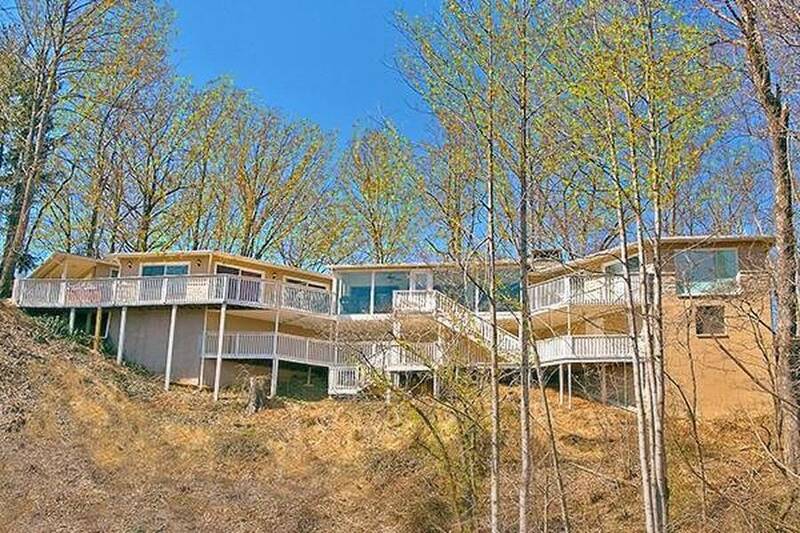 With breathtaking views at every angle, you may never want to leave. 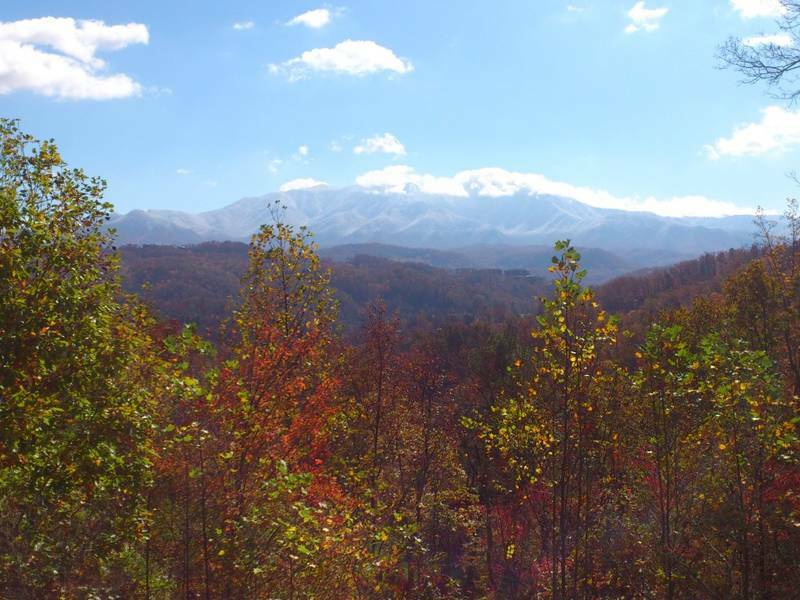 This unique, one of a kind Gatlinburg vacation getaway will definitely take your breath away! Don’t miss out and reserve your stay today! A: Hi Sarah! It's about 10 mins away. 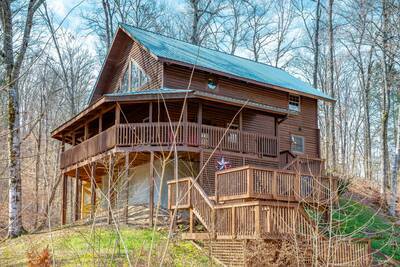 There is a property location map located at the bottom of the cabin page that will assist you! A: Hi Janet! Yes, WiFi is available at the property. A: Hi Christy! Creation on Display is a single residence. This cabin is located on a street with other homes in the general area. It is not totally secluded. A: Hi Renee! 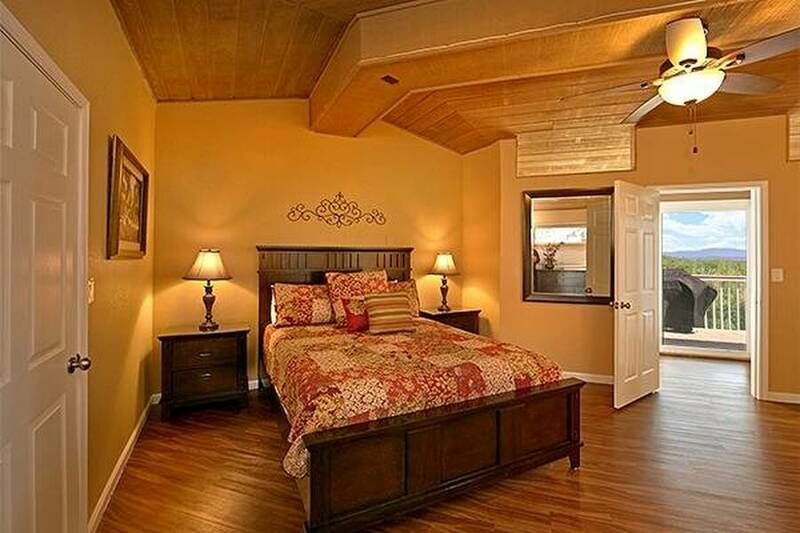 Creation on Display has 2 King Beds ,1 Queen Bed, and 1 Futon. A: Hi Carrie! 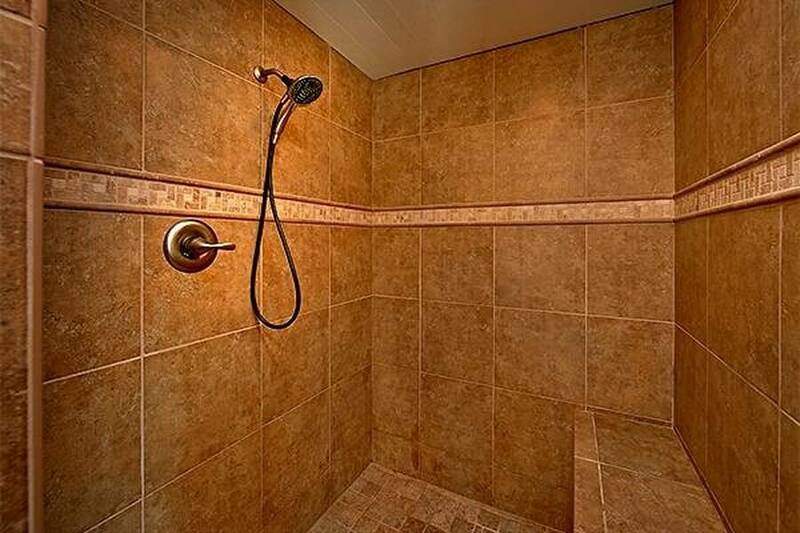 No, this property does not have pool access. A: Hi Megan! Downtown Gatlinburg is about 10 minutes away. 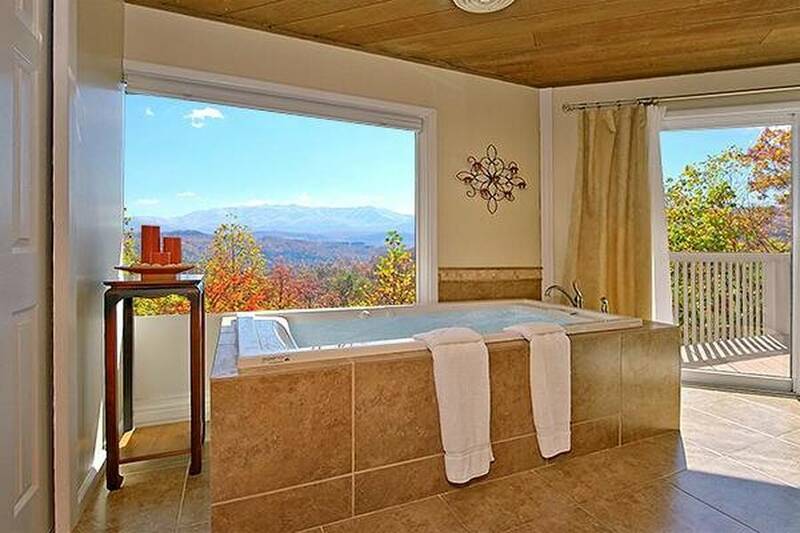 “ The cabin was beautiful, the view was amazing! 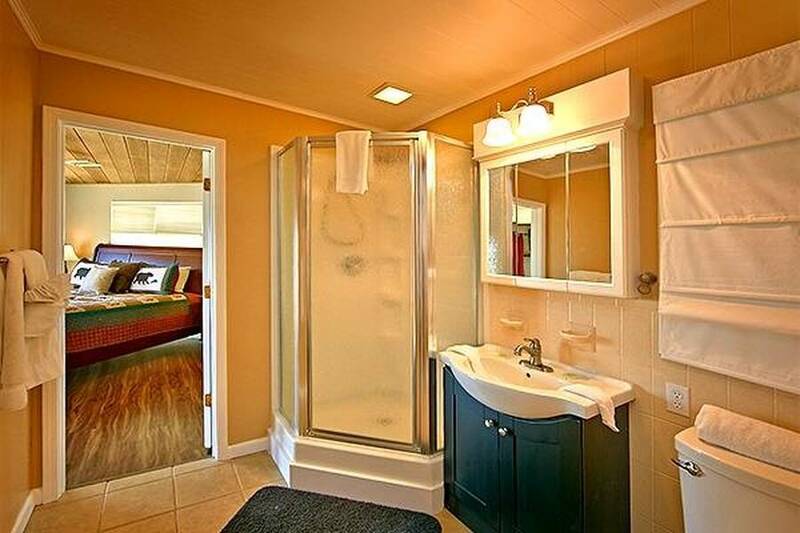 The pictures advertising the cabin were exactly as it was. The road to the cabin was all paved which was nice and made it easy to get to. “ We loved the cabin. The view of the mountains was great. “ The place was beautiful and the view was stunning! 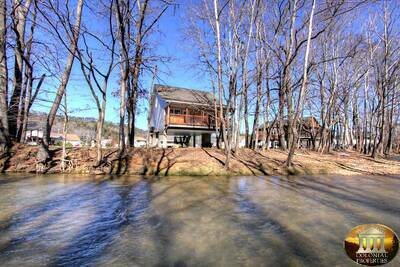 Convenient to Gatlinburg and pigeon forge...Definitely worth booking again in the future!!! 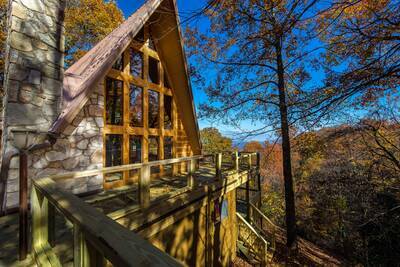 “ Creation on Display cabin was the most beautiful cabin I have ever stayed in! The view was breathtaking and the cabin was very clean. This cabin made our 40th wedding Anniversary feel so special! We will definitely be back! 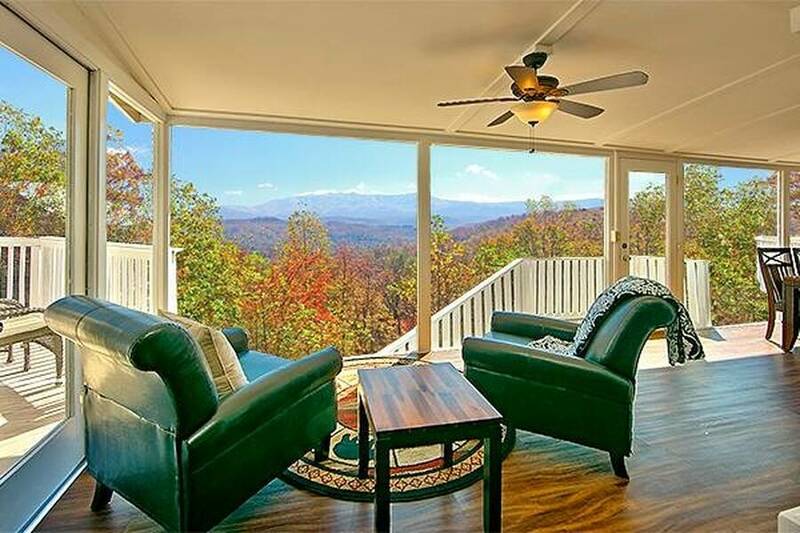 “ Beautiful views, loved all the large windows - they truly bring the outdoors inside! Pool table was a hit. Lots of space and perfect for our family!